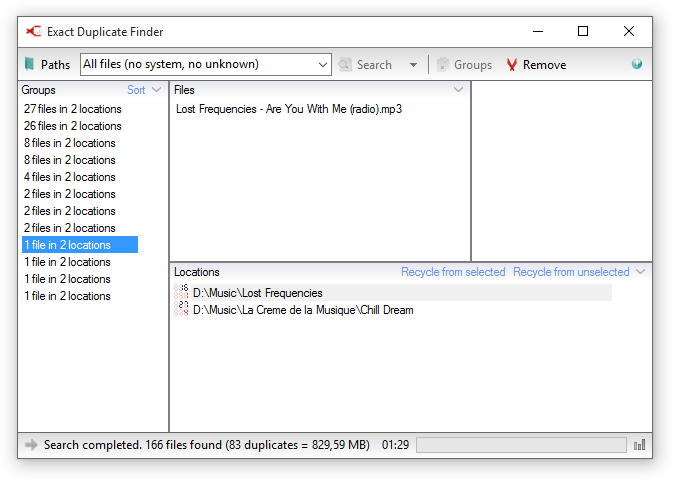 21 Best Free Software for Finding Duplicate Files : – Is your life primarily dependent on a PC? If you have a job that’s solely reliant on a PC or a laptop or you have tons of music, downloads, photos, videos and other documents, you must have already realized how difficult it is to manage your files and folders. Having duplicate files can really create a messed up registry that creates further confusion for you. Not only that you are left wondering which copy to use, but the multiple copies also jam up your computer’s storage space. Constant modifications only create multiple unproductive files resulting in junk that puzzles you of which file to use and slows down your PC. Keeping only one file for your data and deleting the identical files is the best solution to increase the efficiency of your computer. Freeing up your computer’s disk space and reducing costs should be your ultimate aim, and hence applications that can find duplicate files can do the trick for you. Today we have compiled a comprehensive list of the best free software for finding duplicate files that can even delete the identical files from your computer’s hard drive and other external drives. These applications help you to trace multiple copies of ZIP, RAR, and MP3 files with the help of different methods like SHA1, CRC32 or MD5. You can further transfer the identical files to any one of the various formats such as CSV, TXT or HTML. So recover the much-needed disk space of your PC today with the below-mentioned list of the free software for finding duplicate files. Advanced Uninstaller Pro by Innovative Solutions is a great solution for your Windows OS that equips you with a set of different tools and comes with a user-friendly interface. Among the many tools that it offers, there is also a tool that tracks the duplicate files and displays them in form of a list. You can then remove the unwanted files and free up your computer’s disk space for increased productivity. If you are looking for a software that can hunt down all the identical files scattered in your computer’s drives, SlimCleaner is a perfect solution. Apart from the other tools that it offers for disk management, it also features a tool that helps clean the duplicate files from your computer’s registry. It comes with three different scan options viz. IntelliMatch Accurate, Moderate and Quick Scan, and also offers you a choice to find with all or specific file types. While you can ignore a list of folders, you can also delete the unwanted duplicate files that you get from the search results and improve system speed with recovered disk space. 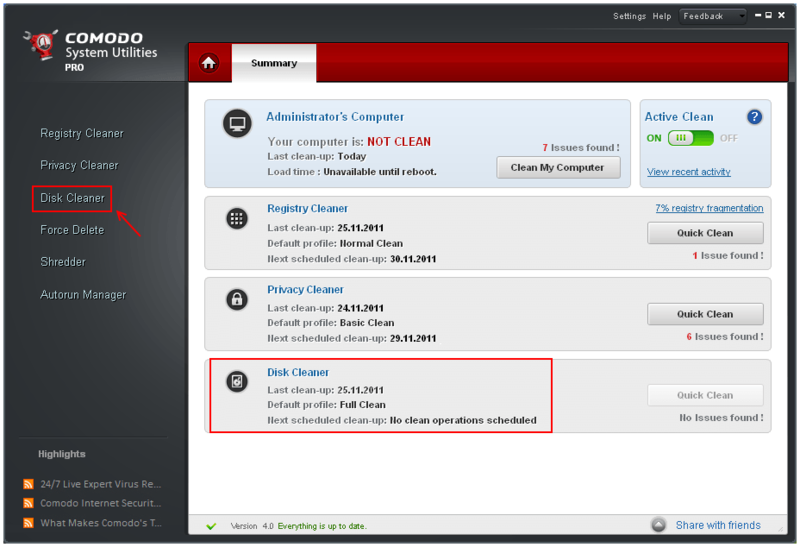 Along with other tools that protect your computer from any external risk, Comodo System-Cleaner also features Disk Clean tool that helps you to track down the duplicate files and eventually delete them. It offers three useful cleaning tools that are Registry Cleaner, Privacy Cleaner and Disk Cleaner. These utilities free up a majority of your computer’s disk space, thereby improving PC performance. Comodo System-Cleaner comes with an easy to navigate utility that creates a system backup before the cleanup procedure in order to avoid any loss of data. CloneSpy is a dedicated duplicate file finder that provides several options to help you find identical files. It helps you recover your valuable disk space by detecting the duplicate files and eventually delete them. With this tool you can not only track duplicate files but also find files with the same name, the same size and that are zero bytes long. It helps delete junk files, moves junk files to a specific location, exports a list of duplicate files without deleting them and more. CloneSpy also helps detect older variants of the same file that may be somewhat distinct but are out-of-date. The software also detects files that have no data but are just jamming up the disk space. AllDup is a free application that helps find duplicate files wherever they hide and eradicate them to recover disc space. From music, pictures, movies to text it tracks down any type of duplicate files using its fast search algorithm. The powerful software helps find identical files with the help of a mix of the file name, file size, file content, hard links, file extension, file attributes and file dates. AllDup also helps to find duplicate files of digital photos, ignore ID3 tags and MP3 files, creates shortcuts for the last original file, display a list of non-duplicate files, export the search results to CSV or TXT format and offers many other advanced features that make it stand out in the category. CCleaner is an easy to use utility that helps clean junk files from your computer’s registry for free and thereby, enhancing its overall performance. It lists all its tolls with clear instructions on its easy to understand interface that makes it easier to comprehend by users. It has four options including, Cleaner, Registry, Tools and Options. While the system maintenance software offers various tools like, to remove your temporary files, cleaning up your registry and deleting dormant cookies from your web browser, it also helps find the duplicate files and delete them to optimize PC performance. You can even trace identical files with the help of file name, file content, file modification date, and file size. That’s not all as CCleaner also displays the ignore list. Once you have the full list of the duplicate files you can check the boxes next to the duplicate files and remove them permanently. Puran Utilities comes with a set of over 20 tools that help you to optimize your computer’s performance. It also offers a one-click maintenance solution that automatically cleans your computer and keeps it error free. Apart from the plenty of tools it also features a Duplicate File Finder tool that makes the file finding process a cake walk. Using this duplicate file finder tool not only that you find and delete the identical files effortlessly from the specified drive, but it eventually frees up your PC’s disk space allowing it to perform smoothly without any lags. Anti-Twin is a compact software utility that helps compare files, that is, it looks for similar or identical files on your computer’s hard drive. You can then choose to either send the duplicate files to the recycle bin or permanently delete them to free up the disk space and enhance overall PC performance. It can also exclude specified extensions, help you search by file size or you can even look for duplicate files that have varied extensions. From MP3 files to images, Anti-Twin helps you to search and remove files effortlessly. If you have been frequently downloading, editing, renaming or importing several files on your computer, you can be sure that your computer will be full of junk duplicate files that slow down the overall performance. With an easy to understand interface Duplicate Commander is an uncomplicated application that helps trace identical files easily and delete them. Apart from the basic scan and delete feature, it offers more features in comparison to the other similar tools. It scans for the duplicate files pretty quick and pairs each set of identical files with size, location, and modified date. While it makes it easier for you to manage the check boxes for the duplicate files, it also equips you with tools to choose items of a specific size or extension. Even though your new laptop may have massive disk space, duplicate files still capture a sizeable portion and waste some really useful resources. Clone Cleaner Lite is a useful tool that helps detect numerous hidden duplicate files and provides you with the choice to delete them or copy them to a different location/directory. The interface is user-friendly with clearly defined icons, rotating tool tips, and wizards along with the add and edit features for search paths while you can also view and change the search results. Moreover, the best part is that Clone Cleaner Lite also offers a wizard named “Content Comparison” that analyzes files for actual identical content and then shows the search results. Overall, it is a well-organized tool that cleans your PC of any junk duplicate files efficiently with detailed information displayed. Duplicate File Hunter is another software that helps clean your computer’s cluttered registry with duplicate files and free up the wasted hard-drive space. It is an easy to use application that helps you to find, analyze and remove identical files. It features an interface that looks more professional with buttons that let you search, choose, move or delete files. It helps you to shrink the searches to some level, indicating the file size and type you want to look for. It also offers a masking tool that allows you to look for a specific file name or extension. Duplicate File Hunter provides you a faster solution to detect identical files and delete them individually or in bulk for a smoother pPC performance. If you have piled up numerous duplicate files like, images, archives, music, videos, or any kind of programs, Auslogics Duplicate File Finder can help you detect the unwanted files and then allows you to select the ones that you want remove or that you want to keep. While you can compare files with their names and contents, it also allows you to differentiate actual identical files from the close matches. Auslogics Duplicate File Finder comes with a straightforward and a user friendly interface. Find duplicate files in any location you want to with the help of Exact Duplicate Finder that uses byte by byte comparison procedure. It is a free software that helps you tract duplicate files easily on your Windows OS. While it can find files for you that are saved with various names, it can also display the search results by location. It has different criteria that are pre-decided depending on the type of the file. It helps you to look for either all files or make use of any pre-defined benchmark to track duplicate files. Exact Duplicate Finder is a freeware that is portable, provides fast and accurate results, renames the moved file automatically and offers several ways to choose which duplicate file to keep. Compatibility: Windows 10, 8.1, 8, 7, Vista and X.
FileMany is a versatile duplicate file finder that not only helps you to track identical files on your disk but also looks for identical files in your network. You can then move these files, ignore or simply delete. The tool uses an array of criteria that can be customized and that helps you to differentiate the real duplicates from similar type of data to rather prevent you from removing the wrong files. Using FileMany prior to cleaning or defragmenting the drives is a good idea as it can make the process much faster and help s diminish errors. Also, the tool can enable you to free up the disk space and restricts the slow-down of your drive if you boot from a smaller SSD. 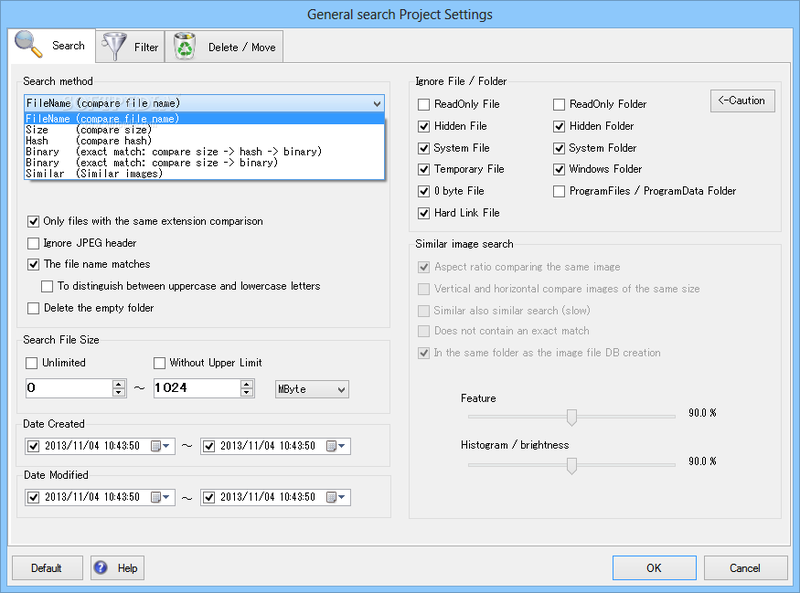 With a simple yet polished interface, FileMany is a great duplicate file finding software. 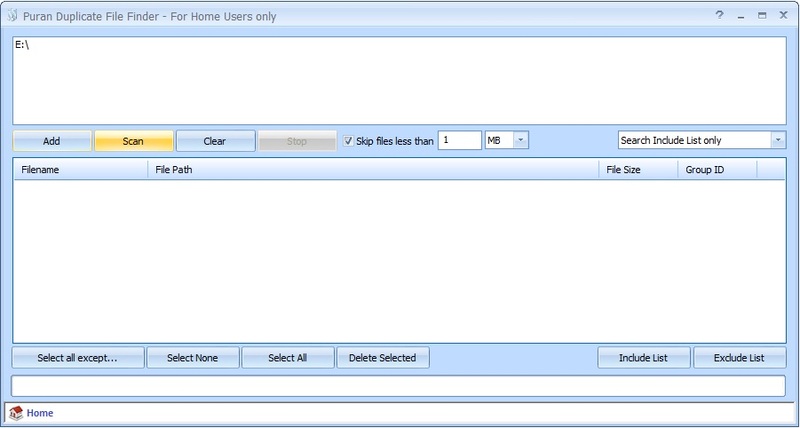 Duplicate File Eraser enables you to find the duplicate files in the registry much easily which you can then choose to delete. It is a simple application with an equally simple interface that makes it easier for you to view the all the functions. You can first choose the directory you want to look for and then choose the option whether or not you want to include any hidden files or subdirectories. The search results are displayed in individual tabs where you can choose the file that you want to remove permanently. 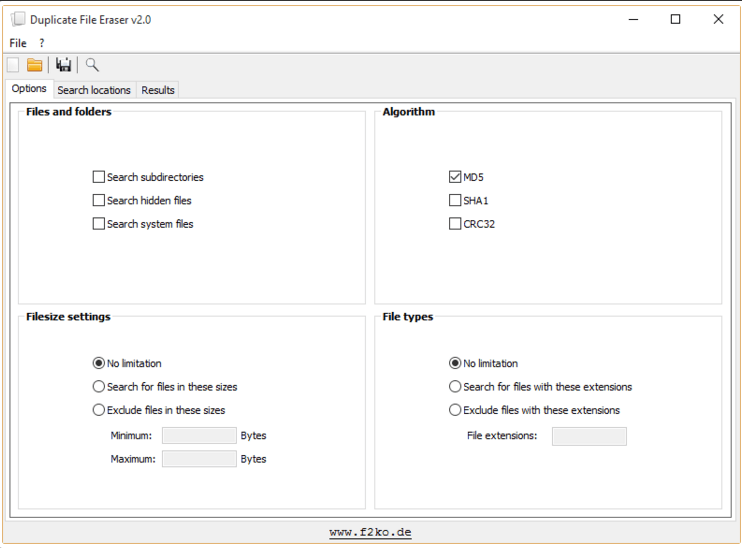 Duplicate File Eraser is available to download free of cost and can be downloaded in a ZIP file. With most of the important features available for free, Fast Duplicate File Finder is a simple tool that helps find similar files and delete them. It comes with one of the best interfaces that enable you to view the results in neatly sorted columns that arrange the results easily prior to moving the identical files or deleting them. The preview area allows you to view or play the text files, audio files and more. Moreover, another plus point of Fast Duplicate File Finder is that it lets you search for duplicate files by similarity apart from tracking down the duplicates. dupeGuru is a software utility that enables you to track down duplicate files in your computer’s hard drive with either contents or file names. Using the ill-defined matching algorithm of the filename scan you can find identical file names even when they are not really similar. It is a productive software that helps find the duplicate files in minutes and can also be customized by modifying its matching tool to look for exactly the type of identical files. dupeGuru is designed in a way to prevent any accidental deletion of important files, and also allows you to copy or move files to any of your desired location. DoubleKiller is a versatile software that can scan all the folders in your computer, along with scanning all your drives and even other computers in your local network for duplicate files that are blocking your disk space. It finds duplicate files by comparing file size, name, date of modification and content. The tool also allows you to exclude files by type, size or name such as MP4, XLS, etc. It offers a lot of advanced features, however, since the interface may not be that easy to comprehend by all users, you can add some folder under the options tab to scan, then return to the tab that says “DoubleKiller” and select “Run”. Once you have finished the procedure, you can then move or delete the duplicate files to any other specified location. Apart from the many tools that it offers, WinUtilities Disk Cleaner (WinUtilities Free Edition) also comes with duplicate file tracking tool. 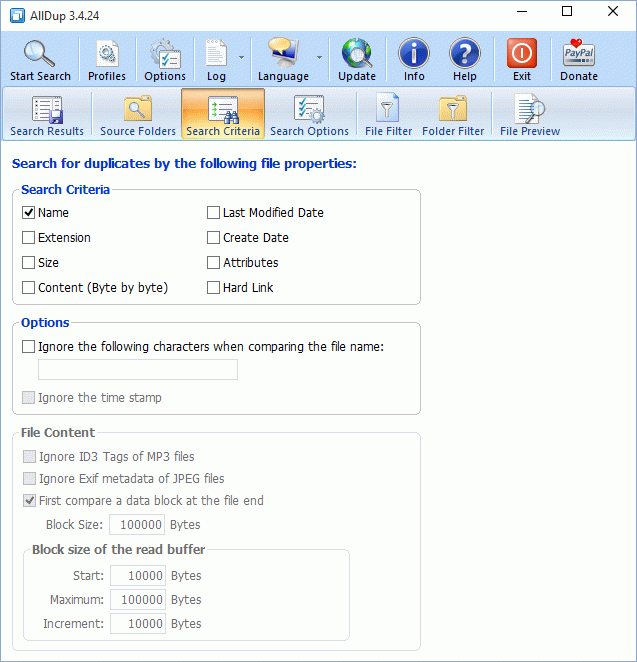 It is basically an application that helps optimize the overall speed and performance of your PC using the multiple tools and the duplicate file finder tool is one of them that allows you to look for the hidden identical files in a specified drive, display the search results and eventually remove them for enhanced PC performance. The software comes with a well-designed interface and the features are more like a wizard that guides you through the entire PC cleaning procedure. Using the utility you can choose which duplicate files to be removed and also displays the file size of the drive in the results prior to and after the PC cleanup. WinUtilities also comes with a rescue feature that helps to unravel any modifications made by the program. Recover the wasted disk space in your PC with Duplicate File Finder which is a free software to search and remove unwanted duplicate files. You can this tool over home or office network without the requirement of any installation. It finds all duplicate files regardless of file names and provides you with accurate search results. Duplicate File Finder helps you to find identical files like documents, images, MP3 files etc. and also files with same name, content and zero size. In addition, you can even export the list of duplicate files to different formats such as, CSV, TXT or to HTML. If there are a lot of text files or documents that might have piled up in your registry and that needs to be cut down Winmerge is a great option to do so. It allows you to compare between two adaptations of a document or between two different versions of a directory and then observe the actual variations between on the display. You can then opt to consolidate the text into one document that you prefer. Winmerge chiefly finds two files or directories that are either same in nature or older versions of each other rather than finding duplicate files. The best part is that you can view the comparisons and then easily merge the files in one version. The interface is quite simple as the icons help you to seek the correct assistance from the visual hints. Give DuplicateFilesDeleter a try. It works really well. It’s a piece of junk.. Gives lots of errors and crashes frequently. Madhu, have you tested these yourself? Which is your favorite? 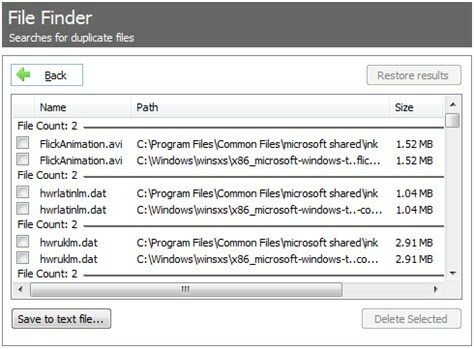 Cynthia, You should use DuplicateFilesDelete, for deleting or removing duplicate files and images form your windows. I personally uses this and I’m quite satisfied with this. You must try this.